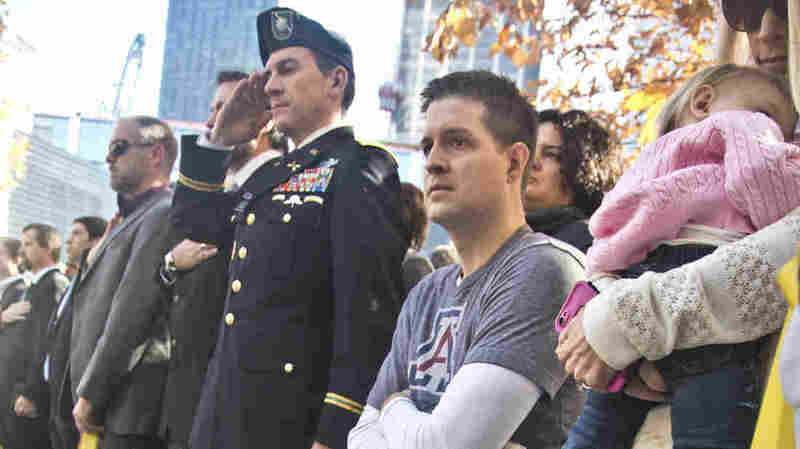 More Than $20 Million Crowdsourced For Border Wall Will Be Refunded Iraq war veteran Brian Kolfage had raised the money through GoFundMe. On Friday, he said donations would go towards a non-profit he created to build the wall, rather than the U.S. government. Brian Kolfage raised millions of dollars for construction of a wall between the U.S. and Mexico. Kolfage, a triple amputee who was severely injured during the Iraq war, had said he wanted to raise $1 billion through the GoFundMe website. The Air Force veteran wrote on the campaign's page, "Eight days before Christmas I started this GoFundMe campaign because I was tired of watching the U.S. government's inability to secure our southern border. Like most Americans, I see the porous southern border as a national security threat and I refuse to allow our broken political system to leave my family and my country vulnerable to attack." It's unclear if Kolfage would have been able to give the money to the U.S. government for wall construction, as he had first planned. On Friday, he announced the donations would be funneled to a nonprofit called "We Build the Wall, Inc." which has a prominent list of advisers on its advisory board, including businessman Erik Prince and former Kansas Secretary of State Kris Kobach. That change in where the donations would go to violated the rules of the website, according to GoFundMe spokesman Bobby Whithorne, reports The Hill. "When the campaign was created, the campaign organizer specifically stated on the campaign page, 'If we don't reach our goal or come significantly close we will refund every single penny,' " Whithorne told The Hill. "He also stated on the campaign page, '100% of your donations will go to the Trump Wall. If for ANY reason we don't reach our goal we will refund your donation.' "
"However, that did not happen. This means all donors will receive a refund," Whithorne continued. "If a donor does not want a refund, and they want their donation to go to the new organization, they must proactively elect to redirect their donation to that organization. If they do not take that step, they will automatically receive a full refund." On Friday, Kolfage's campaign page was updated to read: "WE ARE BUILDING THE WALL! You can still donate right now on this Gofundme!! The media is falsely reporting all money is being refunded and it's over. They are WRONG. WE ARE BUILDING THE WALL and you can STILL donate or opt in if you donated before January 11th TO SUPPORT the plan."